I’ve never been very good at grilling, which is subject to ridicule in Kansas City! 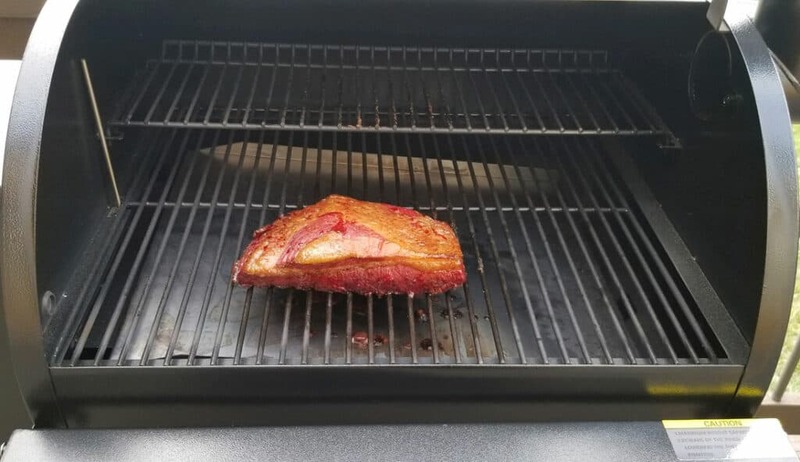 The Traeger Pro Series 22 Grill has become the most important part of our weekend, and has given me the confidence to try new things. I was so excited to cook our standard chicken and green beans on the Traeger, but after realizing how easy and versatile this grill is my husband was quickly making brisket, ribs, beef tender loin, and all cooked flawlessly protected from any flair-ups and deliciously smoked! 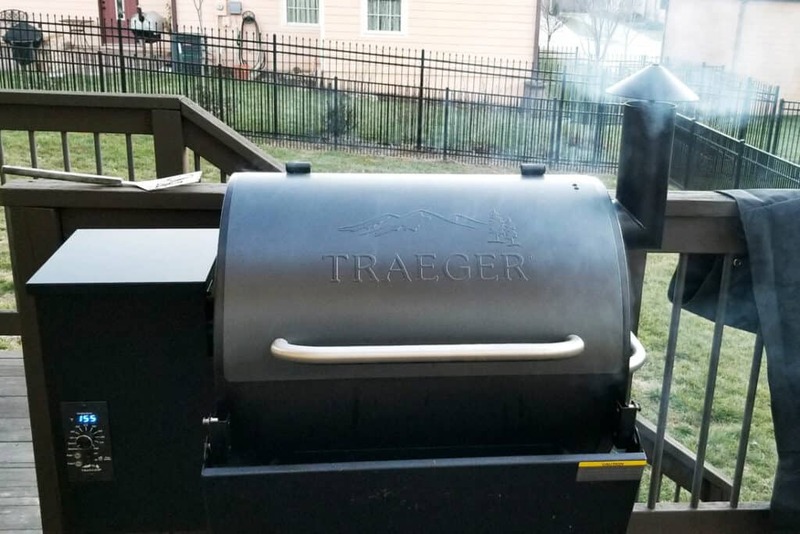 This Traeger Pro Series 22 Grill review is a sponsored post and may contain affiliate links. All opinions are our own based on our own experience. 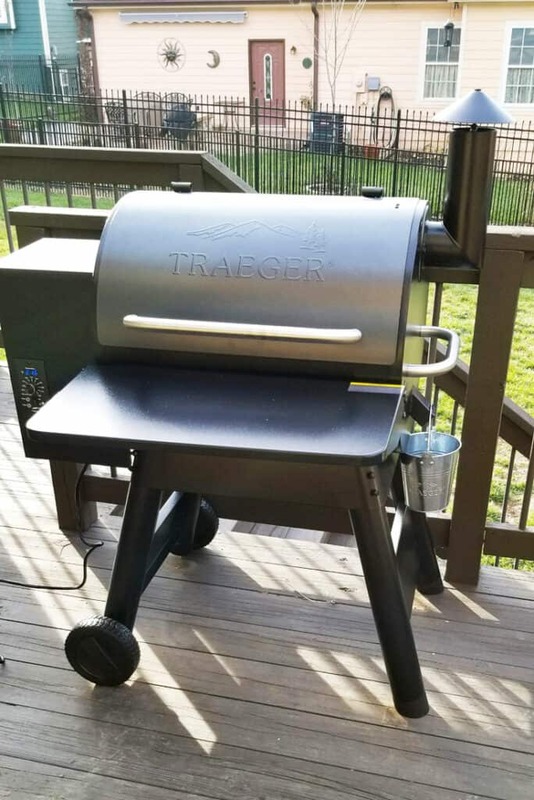 I couldn’t wait to open the Traeger Pro Series 22 when it showed up at our house and started plotting how I was going to use it first, but first I’d need the hubby to assemble it for me. Steve said he didn’t want to put it together at night after work, but after seeing my excitement he started. 30 minutes later he told me, “That was way easier than I expected.” He seasoned it that evening and it was ready to go for me the next day! I’ll admit being a little overwhelmed by where to start or what pellets to use, luckily Traeger does an awesome job of telling you right on their bags what types of wood pair best with different types of meat and veggies! We started with something that we had kind of mastered on the old grill, Steve’s Whole 30 chicken and green bean recipe. The risk with this on the old grill was flair-ups that would char the chicken. I was so excited to be able to not have to worry about that with the Traeger! I’m not lying when I told you this was the best it has ever tasted. Nothing different but the grill and the flavor and taste was so dramatically improved! So much so we actually ate it all over the long weekend (these are my lunches for the week)! Steve declared “I’m going to take a shot at a tenderloin.” This was always his favorite growing up, but had always seemed too big a hassle on our old grill. Beef tenderloin is not a cheap cut of meat, so it freaked me out that he was going to “take a shot.” He nailed it, it was so delicious! Using Traeger’s Beef Rub and smoking it with Traeger Mesquite wood chips, everyone loved it! We’ve used our Traeger grill at least 3 times a week and we’re eating so many new things and so much healthier than we were, in fact the biggest issue is who gets to cook first on Saturday! Maybe we need another grill, do they make a pink one?!?! My son loves to grill out and has been wanting to try one of these grills. We’ve heard that it was easy to use. 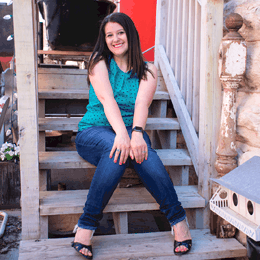 I love to BBQ. This would be amazing to have and try new recipes. I have been wanting one of these grills forever. I’m all about a grill that can help you cook a perfect tenderloin. Yum! Hooray for your husband taking a shot at it. That would be so cool and useful! I like the built-in work surface to help with prep, etc.! This looks like a gorgeous grill. I like that it was easy to assemble and only took 30 minutes. We love to grill. I sure would love one of these. I would love to have one of these grills. I love grilling meats, fish, veggie and some fruit. Taste so much better.